No matter which of her community hats Dr. Phyllis Betts may be wearing, she is forever and always vigilant to the rights and needs of women. A sociologist by training, Phyllis has advocated for women consistently as associate director of the Center for Research on Women and as director of the Center for Community Building and Neighborhood Action at the University of Memphis. Phyllis was a founder of the Memphis Area Women’s Council where she co-organized the initial action team to address domestic violence with a volunteer court watch. She is the Women’s Council’s leader on its Workforce Action Collaborative which is seeking to identify primary barriers keeping unemployed and underemployed women from good-paying jobs. Her multi-layered connections in local grassroots community activism, politics and academia give her constant opportunities to speak up for women’s needs — and she always does. Her commitment is to always “drill down” into the data to find out what it really means to women and to find ways to address the root causes of circumstances that limit women’s equity. With a bachelors’ degree in sociology from Southern Illinois, she completed a Master’s in sociology and then in 1978 earned her PhD from the University of Chicago where she concentrated on social inequality, social policy and urban sociology. She taught sociology at the University of North Carolina in Asheville. 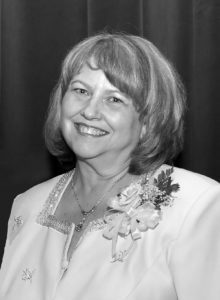 She also founded and directed the UNC Asheville University Honors Program from 1985 to 1990 while also working as associate director of the undergraduate research program. In 1990, she moved to the University of Memphis where she founded an undergraduate research program and directed the university honors program until 1995. Today, in addition to her research activities, she is associate professor in the School of Urban Affairs and Public Policy. She is a research fellow with the Urban Child Institute and chairs the Shelby County Infant Mortality Initiative Data Committee. Her work with CROW focuses on poverty, welfare policy and workforce development for women. Unlike many traditional academics, she uses research to drive action – and it is that link that came to life with creation of the Memphis Area Women’s Council. Phyllis and others from CROW, the Women’s Foundation for a Greater Memphis, the University of Tennessee and other activists created the not-for-profit Women’s Council with a mission to change local policy and practices by taking action based on data and research that explain the root causes of problems. The Women’s Council has organized a court watch of domestic violence cases, initiated a girls’ activism project called Girls for Change to address sexual harassment in schools, targeted barriers to good jobs for women through a Workforce Action Collaborative and fought to ban corporal punishment in city schools. As long as Phyllis Betts is on watch, women’s rights and women’s needs will be at the table whether the immediate issue is violence, bankruptcy, neighborhood rebirth, poverty or jobs. Her vision of positive social change and problem solving – linking research with action – makes our community better for all.